The Human Race Theatre Company kicks off it’s 2017-2018 Season with a fun performance for the next generation of theatre fans! LEGENDALE, an exciting new pop-musical where reality and the digital world collide, opens September 7 and runs through October 1, 2017. The story is based on Andy, whose favorite way to escape his miserable job and humdrum life is the online game “Legendale.” He dreams of victory in its new tournament and winning the grand prize to become “the Lord of Legendale,” but is stuck competing as a lowly milkmaid. When things in the online world suddenly take a strange turn, Andy and his avatar must both discover their inner warrior. A blend of romance, adventure and virtual reality with a pop-infused score, it’s an inspiring tale like no other that’s sure to delight! HRTC is hosting their very first COSPLAY CONTEST NIGHT on September 11 with more than $1800 worth of prizes (full list of prizes and rules are posted on the FB event page). Comedian Jessica Graue is MCing the event. $10 for participants, $5 for general audience. Kids can compete too! Registration starts at 6:15pm, pre-judging at 7pm, and parade of costumes at 8pm. All participants ages 13 and up will receive a ticket voucher good for and show on our 2017-2018 Loft season. Young Professionals Night is Saturday, September 16. The pre-show party begins at 5pm in the HRTC rehearsal hall on the second floor below the theatre. They have a massive selection of board games to play, a taco bar, margaritas and craft beer. We will also be giving away prizes donated from 2nd & Charles, The Human Race Theatre, and Sixteen 37. 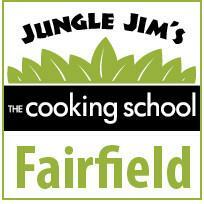 (board games, gift certificates, and more!) Tickets are available at www.ticketcenterstage.com by entering code YPGAME. A value of $70+ for $35! Don’t miss out on this cutting-edge new musical, that’s perfectly timed after Game of Thrones finale, and during Renaissance Festival season. Fall is the perfect time to let fantasy worlds come alive! So please get your ticket for the first of many amazing productions by our own, Human Race Theatre Company! Tickets start at just $12 and up! Special $10 any seat nights also available. DMM Ticket Give Away: We’ve got a pair of tickets and winner can pick the date they attend (based on availability). To enter our drawing, just like and share this post and leave a comment below on why you deserve to win! We’ll name our winner here Thursday, so check back to see if it’s you! 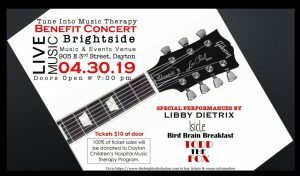 The incredible line-up of Dayton, Cincinnati and Louisville musicians performing include: Brian Hoeflich, Patrick Himes, Nathan Lewis, Erich Reith, Greg Lewis, Aaron Holm, Dan Hereford, Keith Cost, Khrys Blank, Mykal, John Dubuc, Nathan Peters, Brian Spirk, Eric Cassidy, and Matt Byanski. Big thanks go out to the sponsors of this event: Houser Asphalt & Concrete, Nightstar Security, Turner Property Services Group, On-the-Go Prints, and Oddbody’s Music Room. Saturday April 15th 2017 at Oddbody’s Music Room. Doors 8pm. Show 9pm. 18+ with valid ID. $15 advance. $20 day of show. Won’t You Be Our Neighbor? … Again? 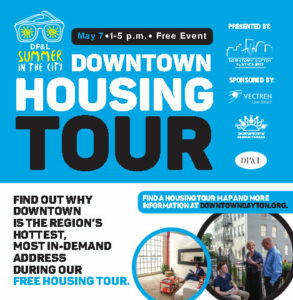 Downtown Housing Tour takes place 1-5 p.m. Saturday, May 7. It’s the start of the downtown event season! This week includes the kickoff for The Square Is Where as well as First Friday and the first in the DP&L Summer in the City signature series. 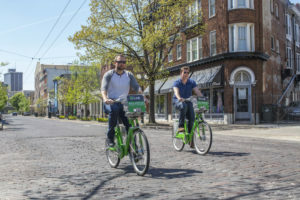 In preparation for the May 7 Downtown Housing Tour, the Downtown Dayton Partnership is pleased to present two more resident profiles. 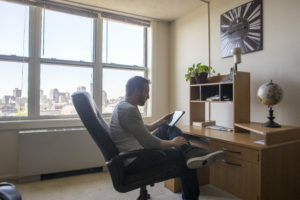 The “typical” downtown resident is anything but — with ages spanning from young professionals to families to empty nesters, people are turning to downtown living not as a rite of passage but as a lifestyle choice. Residents choose urban living for its density and proximity of amenities, entertainment, and vibrant scene. Here are the profiles of two types of downtown residents, one at the beginning of his career, and a couple heading into their golden years. 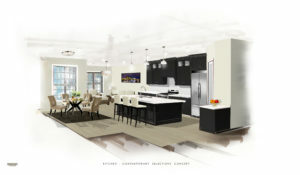 One rents an apartment in the bustling Oregon District, and the other is one of the first buyers of the new Monument Walk high-end townhomes nestled next to downtown’s performing arts district. You can see both locations on the free housing tour on May 7. Download the map and brochure online, or pick up a copy at participating tour locations and downtown businesses. Alice and I are Daytonians. 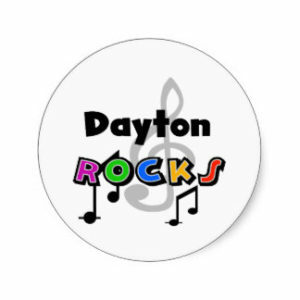 We love Dayton and have made a great life raising our children, contributing professionally and civically, and relishing the rich arts life that surrounds us. 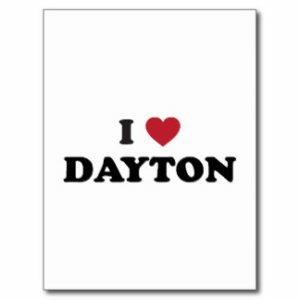 I am a Dayton native. I left after graduating Fairview High School to attend Haverford College, graduate school at Western Reserve University, and military service in the Air Force in Turkey and Italy. 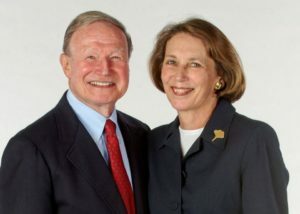 I returned to practice dentistry for 50 years, much of that as a partner with my father, Dr. Jack Saidel. That was always my intention and I have fulfilled it happily. Along the way, I met my beautiful wife as a Smith College co-ed and convinced her to marry me. We did just that in Athens, Greece. After Turkey, we spent an idyllic year in northern Italy. These experiences have carried us since those halcyon days. 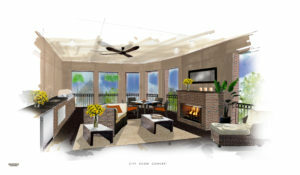 We designed and built our home on Nottingham Road in Oakwood. It is, to us and to many, a truly beautiful creation. We embodied much of the architectural beauty we loved in Europe and our French country-style home has been an inspiration to us. Now, we have entered the age when down-sizing is becoming a cogent decision. Both of us have dealt with the concept of a smaller residence. We realized that Dayton’s arts are the center of our life’s activities. This made downtown Dayton a major choice for us. Our move downtown puts us at the epicenter of the arts, music, dining and friends. We had requirements to match our new lifestyle. I am a major woodworker contributing many works of my art as donations to synagogues, churches, schools, symphony orchestras. I need a workroom, a wood shop. We also need space for our relatives and children. We regularly fill our big home with their presence for family events. 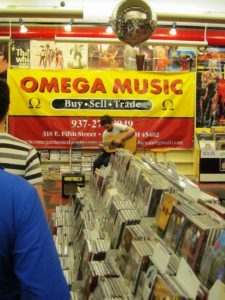 We also host many artists performing here for the opera, Vanguard concerts, etc. We knew a two- or even three-bedroom apartment would be too confining. Many visits to condominium-type dwellings yielded nothing that came close to our needs. We came upon an interesting concept, vertical rather than horizontal, that was advanced by Charles Simms in his design for Monument Walk. The multi-floor aspect made a workroom, adjacent to the garage, an answer to the work space. Some rooms are possibly multi-purpose for visiting sleep-over guests. An elevator, planning for our inevitable infirmities of age, answered another forecasted need. We know the Simms family well. Charlie, as the younger member, and his father Charles are experienced builders and good friends. And we know with Ann Simms looking over their shoulders, everything will be perfect. Many of our friends now living downtown have rushed to greet and pre-welcome us. All are enthusiastic about the joys of central urban living. 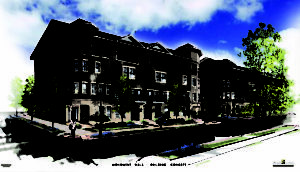 More amenities are needed and will be coming downtown. More fine dining options are a definite addition. We hope we both live longer, love-filled and healthy lives in the core of our beloved city. Come and see us — but not for a while yet! Calm down. Seriously. Before you create another twitter account, just calm down. Yes, indeed it is, and other people feel that way, too. 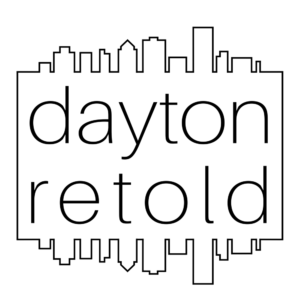 “But I have the best idea ever, EVER for a totally unique to Dayton hashtag that is about to change the landscape and economic development of our entire region!!!!”. Nah. That’s not how this works. That’s not how any of this works. “But I am a super special with a unique perspective on our area that no one has ever thought of before. 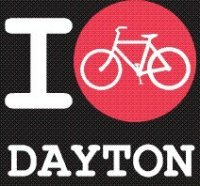 Have you tried talking positively about Dayton?? Gamechanger”. Take a seat. Grab a beverage. Then take notes. “Dude, I really like this area and like to take pictures and / or string words together so maybe I should talk about Dayton”. Come on in, the water’s fine. Snap, talk, and write until your heart is content. But for the love of all things holy, talk to some people before you try to reinvent the wheel. “I need to boost my resume and look like I’m making a difference”. It’s cool, there’s room for you and your self-promotion. Just jump on in beside the people already doing the work for the good of the big picture – not just a 6 month project. There are ideas that need a face, need someone with the rockstar mentality, and need someone tenacious enough to be out there waving the flag of (insert cause here). Ask around. There is a 97.9% chance someone is waiting for a “you” for a project that may already be under way. I promise, I am not trying to rain on your parade. Or parades. Because there seem to be 746 parades marching to their own band right now. Let’s get the drum majors at least on the same beat. At the very least some semblance of a similar tempo. Keep reading to see where you might fit in here. Dang it, we love you. Help spread the word, you are awesome. 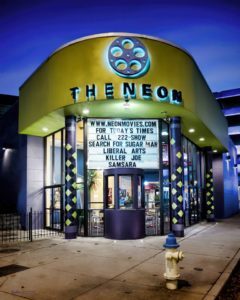 First stop, enter your event on the mostmetro.com event calendar. It’s free. It’s easy. The entire website was created for exactly this purpose. There is so much happening in the Miami Valley. SO.MUCH. This was created as one stop shopping for all events. All sorts of organizations around the area use it as their official calendar. It is referenced by the organizers of the largest events in the area to try to plan around each other. Other websites pull content from the calendar for their stories sometimes, or even to update their own calendars. It’s alllll good. Most Metro knows it, other websites know it, it’s cool and what it was built for. Not being self promoting here, I realize you’re reading this ON Most Metro. Sure, there are gobs of other great things on the site, but the calendar is what it’s all about. It was built for you, and you, and you and even that guy over there to use for this purpose. It was built because as soon as Wilbur & Orville landed their plane, this community realized a need for a big ol’ magic calendar such as this. Ok, not *that* long ago. But about 8 or 9 years ago DMM answered the call of community members and UpDayton attendees and this baby was born. So use the calendar. Being the voice of a generation is a pretty kickass responsibility. Building & maintaining a website takes the one thing many of us are lacking – time. Consistently putting out fresh content ain’t for the faint of heart. There are several outlets that will be happy to publish your content. It’s a win win. You get to run your big ideas up the flagpole and see if you have what it takes for your movement. You also get the benefit of not carrying that weight by yourself. Obviously, Most Metro is one of them, I’m saying that because here we are. But if you don’t think this is a good fit for you, shoot us an email, we’re happy to point you in the right direction. Yeah, seriously. 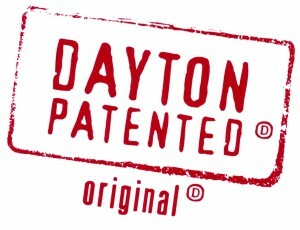 Another site talking Dayton isn’t competition, just different, and we’re happy to connect you to the best megaphone for your awesome ideas. “Someone else has a similar idea to my awesome idea, but they are a big jerkface and I don’t want to work with them”. Been there, done that. The beauty of Dayton is there are a lot of enthusiastic people trying hard to make a difference. These people come in all shapes, sizes, colors, styles, ages, genders, affiliations, cliques, you name it, we’ve got it. The best part? They are all probably more connected than you think and definitely more than willing to help get you connected. Just ask. If you don’t know who to ask, holla in the inbox. If you don’t want to work with so and so, you don’t have to. It’s 7 degrees of Kevin Bacon around here. We’ll get you connected. “I have created this amazing business / attraction / activity and people should flock here to see it in person”. Start with the CVB. 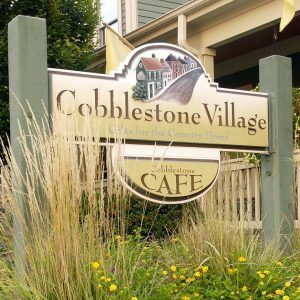 What the heck is a CVB? Dayton Convention and Visitors Bureau. They reach out to people all around the country to attract people here to our city. You know how you want to tell your friends about Dayton? They do that…but everywhere. Do you know what visitors bring when they come to Dayton? Money that stays in Dayton. So why is this bloggy article happening? For a hot minute Dayton was in that angsty, emo, “I don’t like myself” mode. We’re coming out of that now and it is in large part to an endless well of good feelings, some hope and the willingness to get out there. We are coming to an interesting point in our resurgence. We want to make it easy for people who aren’t already in the know to find the good stuff happening in the 937. When there is a different hashtag for every little thing, it makes it hard for people to get to the nitty gritty of what we have to offer. Do you know how many people search for #DaytonGoingUpOnATuesday or #DaytonCanadianGeeseHuntersClub or #937islikeheaven, etc. The person who made it and 3 of their friends. Let’s work on simplifying things a little bit. Let’s bring people into the mix before we confuse them. Let’s be accessible and open, rather than like a secret rave with a password. (Do people still have raves? I may have watched too many Stefon SNL sketches). This area is known for its innovation. so let’s innovate strategic ways to collaborate. It’s Spring, literally and figuratively. We’ve got the UpDayton Summit coming up in April, a time when our city is revived with a new batch of ideas. It’s also almost patio weather. Let’s be honest, there’s something about sitting on a patio in warm weather with some good wine or Bad Juans that makes people get creative. Let’s give these ideas the best chance possible to get off the ground. Part of that means not starting from scratch where it’s not needed. Tap into the resources with an audience. If everyone is re-inventing the wheel, we’re all just rolling around with no where to go unless we find a hill to roll down somewhere. No one wants that. Before you pay godaddy $12.99 a year, before you try to come up with another way to use some iteration of Dayton DYT D8N in a twitter handle, before you take a big bite out of a bigger project, research what we have and use these to your advantage. In the 1920’s, radio broadcasters were looking for more. They knew they had a great way to deliver information into the homes of everyone in the country, but how to get sponsors to buy into it? Radio up to that point had been informational; mainly news and politics delivered in factual and dry terms; nothing really compelling to listen to. Advertisers were not seeing much of a return from the money they were investing, and were leery about investing more. Broadcasters needed to create something that would attract a different audience; an audience that was around the house all day, and was going to make the decisions on what household goods to buy. They decided that fresh content should be mainly about families, and how they lived their lives. They wanted this content to appeal to the housewife, as if they were looking into another person’s house without leaving their own. This new content attracted sponsors in the early 1930’s like Proctor and Gamble, who used these shows to help promote their soaps like Oxydol. Thus was born the “soap opera”, turning what once was used to just a platform for delivering information into a money maker. The Golden Age of Radio boomed, and the soap opera, and eventually the sit com and variety show, boomed with it. Now, being eighty years removed from radio soaps, marketers are all facing the same questions in a new realm that once simply provided information, or a way to connect, and a few small advertisements. 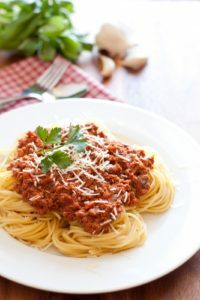 How do we get more Facebook “Likes”? What do we need to do to get more Twitter followers? What makes something that is visually compelling on Pinterest, so we can pin it and tweet about it? And how do we get all of these people we are interacting with to go somewhere to buy our product? On top of that, how do we measure all of this so when people in the C-suite start asking questions, we have good answers for them? We are all asking these questions, some of us longer than others. As we all wander, searching for the same answers, we have a few intrepid people that have found some of the edges of this new realm, and brought back new and exciting information to share. The marketing community of Dayton has helped to organize some of these people at Sinclair Community College on October 16th, 2012, for SummitUp, a full day marketing communications, public relations, and digital information conference. This event is a major undertaking, involving the efforts of not only many of the top talents in the area, but a small army of volunteers. 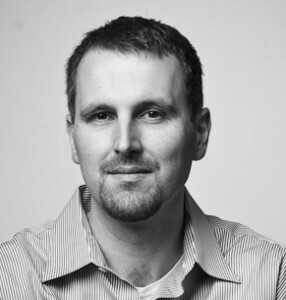 David Bowman, Chief Marketing Strategist for The Ohlmann Group and one of the organizers of SummitUp, states they want it appeal “to early adopters of technology who demand complexity and bleeding edge information while at the same time delivering content that is accessible to newcomers too.” The speaking talent this year is top notch, with major keynote speakers, local brilliant talent, and opportunities to meet all of the top marketing and communication talent in the area. On top of that, the volunteers help to make the event as affordable as possible to the widest number of people, so more people can experience it. “Ultimately, the event has an incredible team of volunteers who work very hard to make sure that those who invest the time and money to attend get value from coming to the event.”, affirms Bowman. The day begins at 7 AM at breakfast. It is going to be a full day, and you are going to need all the energy you can get. The first keynote speaker of the day will be Todd Henry, creator of the website and podcast The Accidental Creative, as well as the writer of the highly praised book The Accidental Creative, How to be Brilliant on a Moment’s Notice. He is an expert on how to build an environment that encourages the generation of creative ideas. His podcast interviews some of the top creative minds across a wide variety of industries, and offers insights about everything from generating ideas quickly to getting over the dreaded creator’s block. After his speech, every attendee will be able to attend multiple breakout sessions. There are twelve sessions total, given by some of the best business and social media thinkers in southwest Ohio and Indiana. Each of the sessions is offered twice in back-to-back time frames, so everyone will have a chance to see six of the speakers. Eight of the sessions will happen before lunch, and the final four sessions will happen after lunch. These breakout sessions are designed to give every attendee the greatest chance to bring the right information back to help the social media and communication strategies of your company. Lunch will be served around noon, and then it will be time for the second keynote of the day. Rohit Bhargava is the a founding member of one of the largest social strategy groups at Oglivy as well as a professor of Global Marketing at Georgetown University. He is a proponent of bringing the human touch back into the marketing world, touting the importance of being likeable as a major factor in success. He is the author of several highly rated and incredibly popular books, Likeonomics (his most recent book) and Personality Not Included. 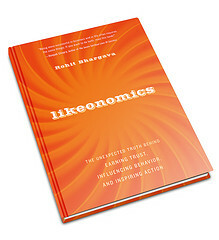 His books are not just something to read; Likeonomics also offers a website full of useful exercises and ideas to help make you and your brand more likeable, and attractive, to future clients. The final keynote of the day is at the end of the last group of four sessions. If you are familiar with the name of the person who is presenting, you have certainly seen his work on multiple websites. 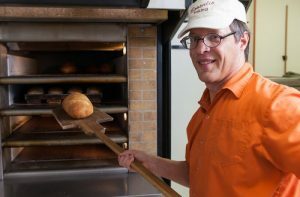 His name is Tim Schigel, and he is the chairman and founder of ShareThis, which has their widgets for social media sharing scattered across the Internet. 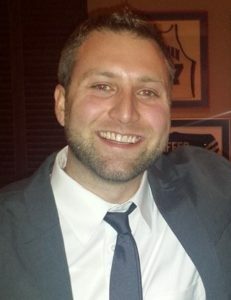 Tim has done innovative work for some of the biggest firms in the country, from Apple to Procter and Gamble. The impetus behind ShareThis was to start measuring how people share the interesting things that they find outside of search engines, and that involves tracking how people use social sites to share. What is getting shared? How is it getting shared? And what is the future of measuring and sharing data? The transition to social media presents a new set of challenges, much like the first pioneers into radio media faced. Whether you are in traditional media or cultivating pin boards, if you are new to the game or still think fondly of your AOL marketing efforts, SummitUp is a great way to develop your skills in this new realm. Facebook, Twitter, Pinterest and a bevy of other new platforms are out there for people to use, integrate, and broadcast from. This is a fine opportunity to take advantage of all this brilliance in a local environment, at a great price. Connect with the best talent in Dayton and beyond, and take your marketing efforts to the next level. We all hope to see you on October 16th! 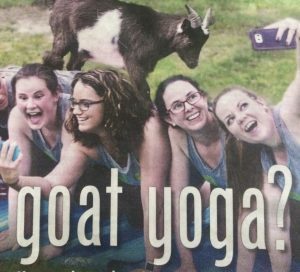 Thanks to Carly Short Photography for covering last year's event! They’re coming. 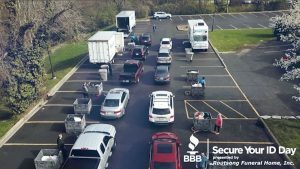 On Friday, May 4, a sea of blue shirts will roll through downtown Dayton, leaving a wake of good karma in its path. That’s right, the annual Get Out & Give Back Dayton day has returned! 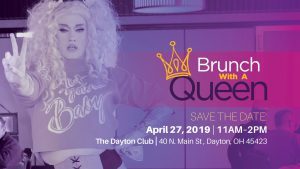 The event is hosted by Generation Dayton but young professionals from all walks of life and varying professional organizations are participating. More than 100 volunteers will take up their shovels, hammers, dust mops, work gloves and other tools of do-goodery to spruce up the area. 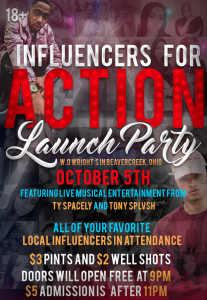 This event is important because it not only connects young professionals directly to the Dayton area, it reminds local residents of the positive attributes young professionals have and the amazing contributions we make to the city. In other words, us whipper-snappers do more than prop up the economy via beer and taco sales. This is my second year participating in Get Out & Give Back Dayton day, and the aspect I enjoy most about this event is the opportunity to meet other YPs in a non-professional setting. How many networking events have you attended where you sit through one lame, Internet-template elevator speech after another? I like to loosen the ol’ corporate necktie every now and then and get to know someone on a more intimate basis. You find out a lot about someone when you have to trouble-shoot trash hauling or develop a synchronized mulch distribution strategy! OK, the happy hour at the end also helps meet new people, but we earned it, gosh darn it! Volunteers will be mulching, planting, scrubbing, wiping, sweeping and digging their way across nearly 30 locations in the greater Dayton area. The event kicks off with lunch at the Excelsior Building (off Sixth Street in the Oregon District behind Jay’s Seafood), and later the mottled motley crew will convene at The Vault for well-deserved refreshments and regaling the day’s events. ***Updated with new rain date: Can’t make it to Get Out & Give Back Dayton day? You can participate in another cool project, this one by updayton’s Unifying the Divide bridge painting project taking place this Sunday, May 6. 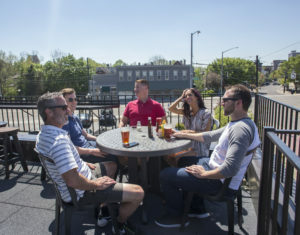 This service group is working to connect two adjacent neighborhoods—South Park and the Oregon District—via a pedestrian bridge that goes over U.S. 35. Sign up online for a shift. 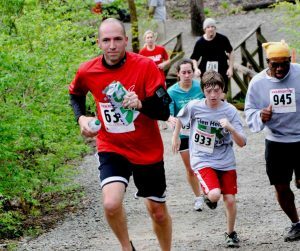 Get Out & Give Back Dayton day is about more than donating a few hours of your time to a worthy cause. For lots of YPs, this is an introduction to many of these organizations and for some, their first foray into downtown Dayton. Engaging this group of people is an investment in Dayton’s future. Retaining young talent isn’t about members of any single professional organization—it’s everyone’s prerogative. What better way to help retain people than giving them a reason to care about their community? Now each time they walk past that landscaping (or drive past that overpass), they’ll remember the personal investment they made in Dayton. They’ll tell their friends about this cool place they visited for the first time (“yeah, it’s called the Dayton Visual Arts Center and they have some really cool exhibits right now. Want to check it out tonight?”). Most importantly, they’ve got one more reason to stay. 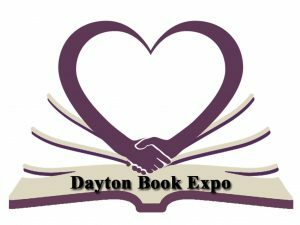 I can’t wait for Get Out & Give Back Dayton day; it’s a reminder for me that, even though I feel inundated with bad news about terrible people, I can and will make a difference in my little corner of the universe. I can fix something, I can make it better, and it feels great to know I have a couple hundred people who are on my team. What do you get when you pair a Pink Floyd rock tribute with the Philharmonic? Or a couple fun-lovin’ DPO Board members with two local YPs groups? Or great food and a backstage tour? Or prizes, a live radio broadcast and crazy discounted tickets? Lest you think this is the beginning of a REALLY complicated joke, I’m here to tell you – it’s Encore Night at the Dayton Philharmonic! On Thursday, February 9, make a night of it with fellow young professionals! 7:15PM – We’re heading BACKSTAGE at the Schuster Center for a special tour and briefing hosted by Brent Havens (Windborne Conductor). 8:00PM – Get to your awesome seats specially reserved in the loge to hear what happens when progressive rock meets classical orchestra. The program features the music of Pink Floyd performed by the amazing Windborne Music backed by the full DPO! 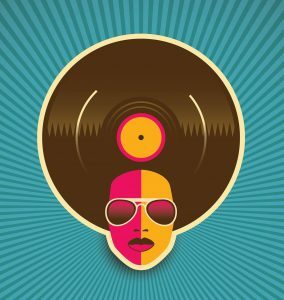 This is a special night (with a crazy great discounted price) specifically to introduce YPs to the great time that is the Dayton arts scene and the Dayton Philharmonic. Tickets are only $30 – that’s more than 1/2 off plus they are actually waiving the $4 processing fee. You MUST order your tickets through the special link below or call Madea Thompson at 937-228-7591 x3222. This deal is only good through February 4th – after that the seats will be released and sold for the face value of $66 (plus that service charge). Don’t miss out! Participate in updayton’s First Friday Scavenger Hunt! Visit three of the five locations below on Friday, December 2nd (or before if you’d like), find the answer to the listed clue, and snap a photo of yourself with it. The three photos are your ticket to the Hunt after party (110 W. 5th St.), which goes from 8:30 – 10:30 p.m. and features free wine, Yuengling, snacks, and a live DJ! Hunters who visit all five stops will be entered into a drawing for a special prize! One of the current featured wines is named after a family member. A ready-to-wear item features a simple message and birds in flight. An elected city official will be partaking in Beaute Box’s services at 8pm. Who is it, and what is the person having done? Thanks for playing, and happy holidays from updayton! 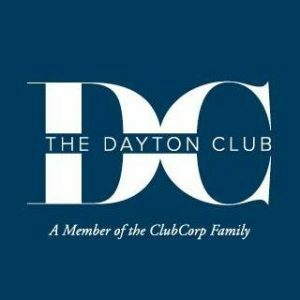 Dayton Partnership, and sponsored by DaytonMostMetro.com.